Day four of the second New Eden Open is now history. I said yesterday that I thought most of the matches would be pretty one-sided and with one exception they were. That exception was the opening match of the day, with No Boundaries and its three Rote Kapelle members taking on Seldarine‘s “About As Good As A German Ski Lesson” team and losing to them 32 to 31 in a match that went down to the last second. My favorite one-sided match of the day was Raging Homo Sapiens putting Asine Hitama’s Team out of its misery in a clean sweep. This fight included what I thought was one of the best fleet compositions of the day and of the tournament so far, two Stratios, two Vexor, Oneiros, Eos, Ishkur. It turned out to be a wickedly fast high DPS, high versatility armor-tanking drone-based composition with lots and lots of utility mids free. I’ve felt for a while that Asine Hitama’s was over-rated despite their victory in the first NEO and this composition absolutely dominated them. I wondered at the time if Raging Homo Sapiens had revealed their best fleet comp too early but it turned out not to matter since they were eliminated handily later in the day (and yes, their opponents banned the Stratios). My second favorite match of the day was The Reputation Cartel versus Gerodian. This is a match that I hadn’t expected to be close, but some unexpectedly good flying by Gerodian made for a surprisingly close middle section of the match before Rep Cartel took things in hand again. Before they did, Suleiman Shouaa managed to have his Sentinel reduced to very low structure and Bob Shaftoes‘s Brutix Navy Issue wasn’t faring much better. But still in the end Rep Cartel had 36 points on the field after destroying the Gerodian team. Around those two matches were five or six one-sided slaughters, including Rep Cartel falling to the Exodus team 70-0 and Last Huzzah being bounced by the Providence Wisadrs team by an equal margin before themselves being crushed by a strong Incursion Shiny Network team. I fully expected the Hydra Reloaded Warlords of the Deep team to crush Thingy and this happened for the most part, but I was surprised by their middle match. It turns out Thingy has been the Warlord sparring partner and so the two teams were somewhat familiar with each other’s comps and apparently decided to “give the fans a show” with their first two matches which included near “mirror-matches” with both teams bringing nearly the same fleet comp. In the past, this has been an invitation for the opposition to be crushed by the Hydra team. Hydra does nothing better than execution: they are always flawless or nearly so. This time, not so much! In a terrific display of damp dumping about two minutes into the match, the Thingy team managed to damp Dark Soldat‘s Oneiros out of position of his teammate Ais Hellia and destroy the latter ship. This seemed to rattle the Warlords team and one by one, the two other Warlords Vexors piloted by knifee and ex-Rote Kapelle member xoXFatCatXox managed to get themselves isolated away from their team, surrounded, and killed with no answering losses for the Thingy squad. Though Thingy did lose their Oneiros, they were able to continue to one-by-one surround every other heavy Warlords ship and crush them. I tweeted it was the only time that I can recall ever seeing a Hydra Reloaded team out-flown and out-executed. That said, the real Hydra showed up for the third match and absolutely crushed the suddenly hapless-looking Thingy pilots pushing them into the loser’s bracket. I don’t know about [Kolbasz] smashing them. I suspect WeHURT will win the first, [Kolbasz] will win the other two. Yesterday, I had said that I expected Kolbasz Inside to win and I based this on my feeling that while WeHURT is made up of good pilots, Kolbasz Inside was the stronger team. 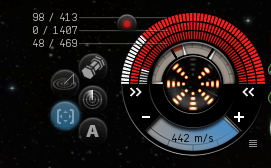 Good piloting will carry you far in an EVE PvP tournament but then it will get you crushed by a team that either has better discipline, better teamwork, or better endurance. I fully expected WeHURT to fail this test; we’ve seen a number of other teams with good pilots fail it particularly since tournament play started to include multiple matches with short turn-arounds between them. The pressure of flying one or perhaps two tournament matches in a single day is rough. Three or more is crushing. But I figured we’d see some razzle-dazzle flying from WeHURT’s good pilots before that happened. And so when WeHURT took the first match and Kolbasz took the second, I was feeling pretty confident about my prediction. I continued to feel confident about it when I saw the comps for the third match. Kolbasz had brought a very solid-appearing drone brawling team with an Armageddon to neut on WeHURT’s one displayed good comp: their Vargur-based one which is supplemented by a strong missile ship wing of a Cerb and three RLML Caracals. Kolbasz’s screen looked fine: two big mean Brutix Navy Issues. And my confidence held up until WeHURT showed some excellent piloting, using the Vargur to pull the screen Geddon and Brutix Navy Issues of the Kolbasz Inside team completely out of position. It was a wonderful display of terrific tournament piloting by WeHURT, abysmal teamwork by the Kolbasz team. This bit of flying deserves a close look. Seriously, watch the first two minutes of this match. I haven’t seen such poor flying by a screening force in a long time, particularly Tzuko1, who apparently feels his BNI can catch and tackle a freakin’ Hawk. Meanwhile, Sard Caid in a Vargur and Zao Amadues in a Cerb of WeHURT waltz right past him and into his team’s backfield, taking advantage of an exceptional tackle by Dantesi Cadelanne. Before the Hungarians can blink, their entire backfield was dead. Kolbasz completely came apart after that. Again, excellent flying, WeHURT! About As Good As A German Ski Lesson. My current thinking is Warlords first, Kolbasz second (despite their poor flying today), and WeHURT third. I still can’t imagine WeHURT pushing past Hydra with just great flying and once in the loser’s bracket I think they’re gonna have a tough time there. Still, whatever happens, they’ve proven themselves. And hey, I’ve been wrong about them once already. We’ll see what happens next weekend. Good luck to all eight remaining teams! Let’s see… final comments. 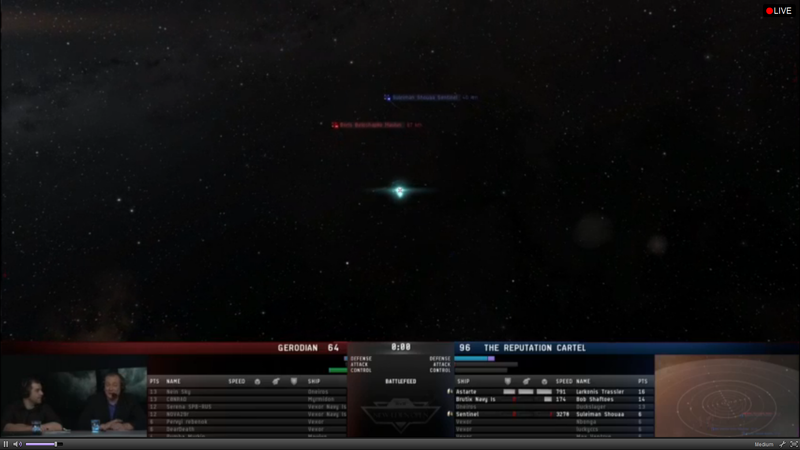 CCP Fozzie continues to do his normal excellent job as a tournament commentator and between match expert. No complaints. CCP Rise looked a little distracted all weekend; maybe his upcoming travel? Still, he also did a great job with match commentary. When it was he and Fozzie between matches, though, Fozzie had to pick up the slack. As I mentioned earlier today, I myself continue to be distracted by CCP Dolan watching himself on TV and having too much fun with the smoke machine. And CCP Bro? I’mmmmmm… of mixed feelings about Bro. He was better than last weekend, much less stiff. And I think I’ll leave it at that until I see his performance next week. There were few or no technical issues, and the audience remained steady at a bit above 12000 people watching. All in all, day three has had the best matches so far, but still quite successful! I look forward to watching finals weekend! I simply want to tell you that I’m all new to weblog and certainly enjoyed you’re page. Very likely I’m planning to bookmark your website . You actually come with very good writings. Appreciate it for sharing with us your web site. I¡¦m not sure where you are getting your information, however good topic. I needs to spend some time finding out much more or working out more. Thanks for magnificent information I used to be in search of this info for my mission. Excellent post. I was checking constantly this blog and I am impressed! Very helpful info particularly the last part 🙂 I care for such information a lot. I was looking for this particular information for a long time. Thank you and good luck. Hi there, You’ve done a great job. I’ll definitely digg it and personally suggest to my friends. I am confident they’ll be benefited from this website. Thanks a lot for sharing this with all of us you really know what you are speaking about! Bookmarked. Kindly also seek advice from my site =). We can have a link exchange agreement among us! I have been exploring for a little for any high-quality articles or weblog posts on this sort of area . Exploring in Yahoo I at last stumbled upon this website. Reading this information So i¡¦m glad to exhibit that I’ve a very just right uncanny feeling I came upon just what I needed. I such a lot without a doubt will make certain to don¡¦t overlook this web site and provides it a glance on a relentless basis. Whats Happening i’m new to this, I stumbled upon this I have found It absolutely helpful and it has helped me out loads. I am hoping to give a contribution & aid different users like its helped me. Great job. Whats Happening i’m new to this, I stumbled upon this I’ve found It absolutely helpful and it has aided me out loads. I am hoping to give a contribution & assist different users like its helped me. Good job. Thank you for sharing superb informations. Your web-site is so cool. I am impressed by the details that you¡¦ve on this blog. It reveals how nicely you understand this subject. Bookmarked this website page, will come back for extra articles. You, my pal, ROCK! I found just the info I already searched everywhere and simply could not come across. What a great web site. whoah this weblog is fantastic i really like studying your posts. Stay up the great paintings! You realize, a lot of people are searching around for this information, you can help them greatly. You actually make it seem really easy together with your presentation however I in finding this topic to be really one thing which I think I might never understand. It kind of feels too complicated and very vast for me. I’m having a look ahead to your subsequent post, I¡¦ll attempt to get the hang of it! Very efficiently written story. It will be supportive to everyone who usess it, as well as myself. Keep up the good work – looking forward to more posts. Wow, amazing weblog layout! How long have you ever been blogging for? you made running a blog look easy. The overall glance of your web site is magnificent, let alone the content material! Great post. I was checking constantly this blog and I am impressed! Extremely useful info specifically the last part 🙂 I care for such information much. I was looking for this particular information for a long time. Thank you and best of luck. you’re in point of fact a good webmaster. The website loading pace is incredible. It seems that you’re doing any distinctive trick. In addition, The contents are masterpiece. you have performed a wonderful process in this subject! Thanks for all of your efforts on this web site. My mum takes pleasure in making time for research and it’s obvious why. Most of us hear all of the powerful ways you render invaluable tips and hints by means of your blog and even inspire contribution from the others about this concept then our daughter has been understanding a lot of things. Take advantage of the rest of the year. You are always carrying out a superb job. Hi there, You have done an excellent job. I will certainly digg it and personally suggest to my friends. I’m confident they’ll be benefited from this site. I must express my appreciation for your kind-heartedness in support of those people that should have help with your idea. Your special dedication to passing the solution all over turned out to be astonishingly important and have always encouraged regular people like me to attain their goals. This invaluable suggestions implies a lot to me and somewhat more to my mates. Thanks a ton; from all of us. On my pal’s blog sites they have actually included me on their blog rolls, yet my own always sits at the bottom of the listing and also does not listing when I post like it provides for others. Is this a setup that I need to transform or is this a selection that they have made?. Thank you for another informative web site. The place else may just I am getting that kind of information written in such an ideal way? I’ve a venture that I am simply now operating on, and I have been on the glance out for such information. Thank you a lot for giving everyone an extremely spectacular chance to read in detail from here. It can be so brilliant and also packed with a great time for me and my office acquaintances to visit your blog minimum 3 times weekly to read through the newest stuff you will have. And lastly, we are usually amazed with the perfect tips you give. Certain 2 facts on this page are undeniably the simplest we have all ever had. I was just looking for this info for a while. After 6 hours of continuous Googleing, at last I got it in your site. I wonder what’s the lack of Google strategy that don’t rank this type of informative web sites in top of the list. Generally the top sites are full of garbage. of course like your web site however you have to test the spelling on quite a few of your posts. Several of them are rife with spelling problems and I find it very bothersome to inform the truth on the other hand I¡¦ll surely come back again. Just wish to say your article is as surprising. The clearness in your post is simply nice and i can assume you’re an expert on this subject. Well with your permission let me to grab your feed to keep up to date with forthcoming post. Thanks a million and please keep up the enjoyable work. Someone necessarily help to make critically articles I’d state. That is the very first time I frequented your website page and up to now? I surprised with the research you made to make this actual put up amazing. Excellent process! Its like you read my mind! You appear to know so much about this, like you wrote the book in it or something. I think that you can do with some pics to drive the message home a bit, but instead of that, this is excellent blog. A great read. I’ll definitely be back. Thank you a lot for providing individuals with an exceptionally splendid possiblity to read from this website. It really is so awesome and as well , packed with amusement for me personally and my office fellow workers to search the blog minimum 3 times in a week to see the latest things you have. And lastly, I am also actually fulfilled with the superb advice served by you. Certain 3 tips in this article are in truth the most beneficial I have had. I have been a yahoo customers for some years now. I am just starting to take advantage of the tools which they provide, one of which being blog posts. I have actually written a blog site and would love to know if my post are being seen by others. If not then does any person recognize exactly how I obtain my blogs posts check out. What are some excellent and also preferred sites for blogs?? ?.